My Divi Double Button allows you to display 2 call-to-action buttons for your Divi Website side by side in a sleek, modern, eye catching way! Featured on Day 82 of the Elegant Themes 100 Days of Divi Series, there was awesome feedback on the look and design but many questions about how to style and customize it. Well now it’s available as a layout for you to import quickly and easily without coding it yourself! The buttons are fully responsive and will line up side by side on desktop, tablet and mobile views. 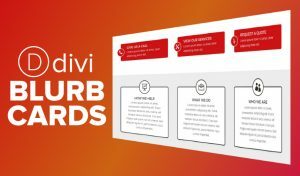 The hard work of creating and coding the buttons is taken care of, all you have to do is import the button to your Divi website and change the colors to your liking. 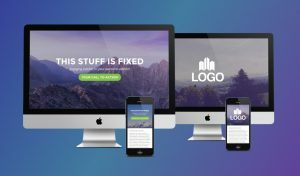 Good news – this is not a plugin and since it’s CSS based, it’s compatible with every version of Divi and will be moving forward without needing to update. If you’re advanced at CSS, feel free to go wild and make any CSS changes or additions you’d like! You can use the Divi Custom Styles to change the font size and color of the buttons but that will overwrite the CSS hover over and mobile styles. 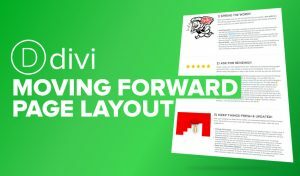 A great little plugin for your Divi theme that gives your users choices and looks great. Really simple to use and set up.